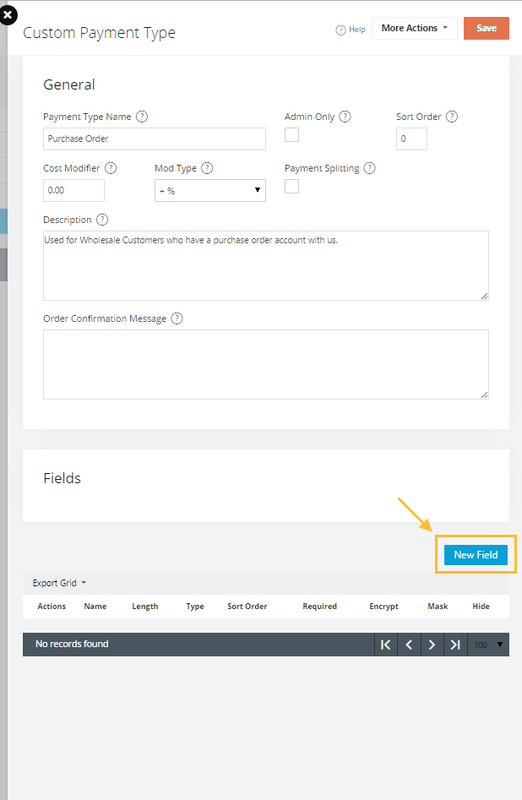 This article will illustrate how to create a "Purchase Order" Custom Payment Method that can be selected by your customers at checkout. 1. Login to your Administration Console. Once in, navigate to Settings > Payments & Taxes > Custom Payment Types. 2. Click New to, add a method name and description, and modifier amount and type (if applicable), then click save. 3. After your new "payment type" is listed, you can then add inputs to it, which will prompt the user for additional information. In our case we are going to require them to input PO Account number. Click the "add button" in lower left to get to this screen. 4. You should now see this new Custom Payment Method. 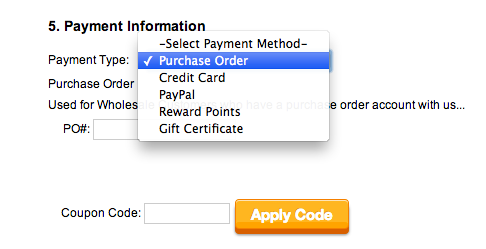 Custom Payment types are useful, but why can't you assign them to customer types?!? While its not possible to assign custom payment methods to a whole customer type, it is possible to deactivate a custom payment method for all customers by default, and only enable it for specific customers. Create a custom payment method, then set it to inactive on the store in Settings > Payments and Taxes > General, then you can enable it on individual customer accounts by editing the customer account and going to the Payments tab. Using the example above, is there a way to place the PO the customer enters into an email template? I thought it could maybe be done using ##CUSTOMFIELD[PO #]##, but not sure if I am on the right track? 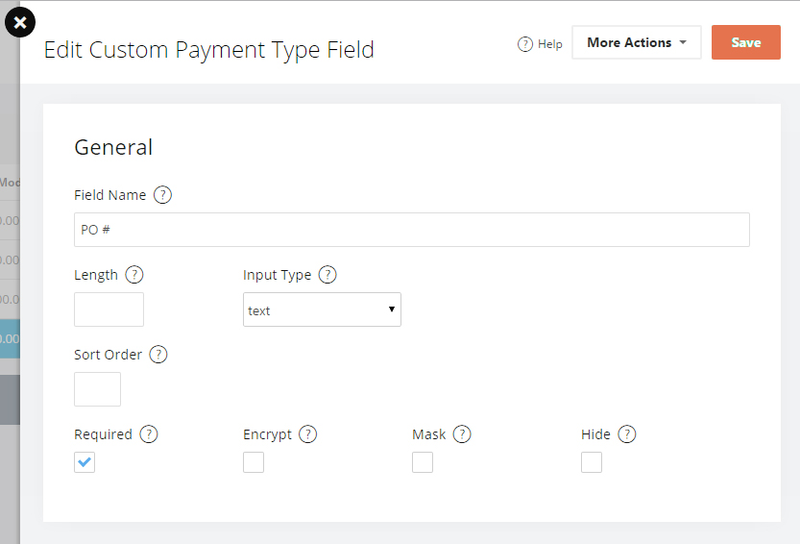 The ##PAYMENTMETHOD## merge code will display PO# in the email template if ##CUSTOMPAYMENTFIELD[PO #]## is entered into the Order Confirmation Message field of the custom payment method. Hi, Can I enable custom payment type for a customer using API?